Before having her own family, Rachel carefully watched her peers as they became parents –hoping to find solutions that supported both parents to stay actively involved with paid work and family care. Over the past 12 years, her involvement with ThirdPath helped her uncover these solutions, both personally and in the work she does with clients. Rachel is a licensed clinical social worker and a trained gestalt therapist with a private psychotherapy practice in the Philadelphia area. She works with individuals, couples and groups. Rachel uses her expertise in early childhood development to help families recognize and work with the changing needs of their children as they develop and grow. 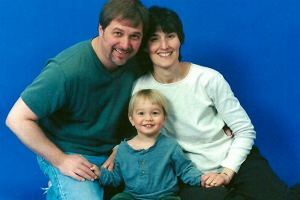 Rachel and her husband share care of their school-aged son with support from Rachel’s parents. Rachel helps ThirdPath run a Work Family Support Group. Couples meet on the phone and then in-person on alternating months. Together they are learning how to become more intentional around both their work and family goals, including how to make these goals affordable. Rachel also offers Shared Care workshops in Philadelphia for couples interested in learning more about a shared approach to parenting. Learn more about ThirdPath’s Integrated Life Advocates and how they are partnering with us to create wider change.